„Djabe said farewell to András Sipos in a 4-hour monstrous concert. Several guest artists appeared, including actors and musicians, with the special guest, Steve Hackett, whom I have never before seen playing with such happiness. … they had never been better than on this night. I have never seen them playing so well, it was a fabulous show. At the beginning the band was always joined by a different guest. The first in the row was Mihály Dresch on saxophone, who was followed by Said Tichiti, the singer and percussionist of Moroccan origin. The special guest appeared after them, who according to Attila Égerházi, upon hearing the news, offered that he would come to Budapest. 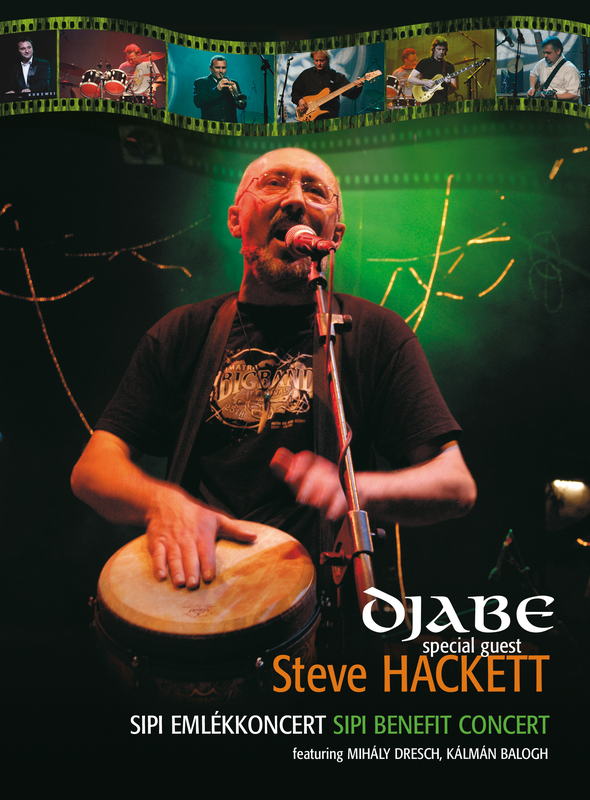 Steve contributed to the Djabe album titled ‘Sheafs are Dancing’ and he also played at the concert the group gave in London in 2004. He came on stage several times during the concert and he seemingly enjoyed making music. After playing all together, Steve stayed on stage alone and performed an acoustic medley. The block was closed by the wonderful Horizons.